CERTIFIED KOSHER: Origin: China Yunnan is located in the southwest corner of China bordering Laos, Burma and Vietnam. China is the homeland of tea trees and the Yunnan-Guizhou Plateau is the place where Chinese tea originated. Yunnan teas are relatively new, as far as Chinese production efforts, having only been in commercial production since 1949. 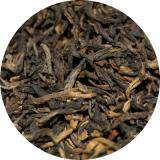 Yunnan tea offers a strong brisk cup with spicy overtones and a lovely gold/black colored leaf. One of China's noble teas, it is a large-leaf tea with golden tips. 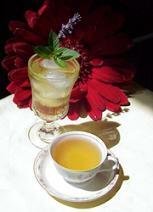 It is nicknamed the "mocha of teas" and has a dark, full-bodied brew with an earthy taste. Yunnan will tolerate a bit of milk and is perfect for a continental breakfast.